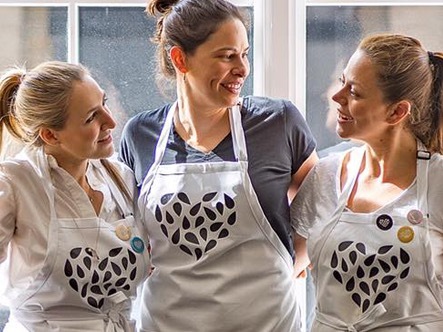 Seed + Mill is a women-owned business - the product of three friends, Lisa Mendelson, Monica Molenaar and Rachel Simons, united by a shared passion for food, cooking and high quality, healthy ingredients. Inspired to create something unique, they experimented in their kitchens with version after version of halva and tahini recipes, dreaming up surprising combinations of these traditional foods. They were excited to see how versatile and healthy tahini was and were determined to see it take its rightful place in kitchens all over the USA and around the world. Seed + Mill is based in Chelsea Market in Manhattan.